The recent College of Golf pinning ceremony for three Associate of Science in Golf Management (ASGM) graduates marked the end of their educational experiences and the beginning of their careers in the golf industry. The ceremony was attended by the graduates and their families, staff, faculty, and fellow classmates. 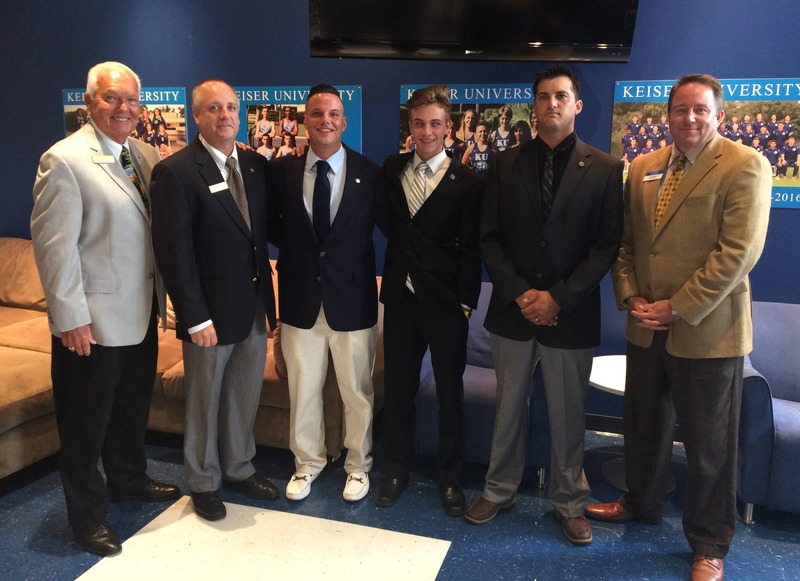 Following remarks by Mr. John McMurry, Flagship Campus Vice President, and Dr. Eric Wilson, Executive Director of Golf Operations, Brian Hughes, Golf Program Director, introduced the graduates, each of whom spoke to the assembly, recounting their time spent at Keiser University. Graduating from the Associate of Science program were Steven Lopez, Luke Thompson, and Ian Wrightson.